Seattle and San Francisco are both popular West Coast cities. Both are thriving and booming and great (though expensive) places to live with plenty of jobs, recreational activities and a high standard of living. Both are Pacific ports with highly educated, politically liberal, outdoor-loving, culturally hungry populations. There are certainly more similarities than differences. As the French say, vive la difference. But what makes Seattle unique? Where is it lacking? And where does it edge out over San Fran to the south? The most immediately apparent difference in life in Seattle vs. San Francisco is cost of living. San Francisco is by some metrics the most expensive city in America (by others it comes a close 2nd to New York). The rent is high, utilities are high and goods are expensive. Plus there's the little item of state income tax (Washington state has none). Perhaps the only consolation is how much affordable fruit and vegetables San Francisco residents get living in the agricultural paradise of California. Seattle is by no means a cheap city, and the cost of living is rising as the years go by, but it is a screaming deal compared to the Bay. While not quite on par with New York or Chicago, San Francisco has a first-class public transportation system. BART is affordable and ubiquitous through most of the metro area. Muni covers the gaps in the city. And Caltrain extends to the peninsula and beyond. Far from perfect, it makes the decision not to own a car less than a sacrifice and more good sense for many city residents. Seattle's bus system is fine if you carefully choose your home and workplace, and the Light Rail offers a vision of a very promising future, but ultimately most residents choose to own a car. San Francisco is a few hours away from skiing in the Sierra Nevadas or at Tahoe. It's on the water and offers sailing, swimming (in summer) and surfing opportunities. Compared to nearly any other major city, San Francisco offers a lot for the outdoors person. But, really, no major city in America (including you, Portland) is as immersed in natural beauty as Seattle. With fresh water from Lake Washington, salt water on the Sound, skiing and hiking an hour away, Mt. Rainer taking one's breath away on clear days, and lush green countryside surrounding all year, it just isn't really fair. Seattle is a wonderful cultural city. A rapidly improving art museum, a widely respected opera (for Wagner, at least), a strong ballet, the country's largest film festival, and a vibrant local music scene all attract the talented and passionate to Seattle. But it's hard to deny San Francisco is just a cut above. The size and wealth of San Francisco and the metro area make the playing field very steep, with a world-class ballet, opera, and theatre scene - perhaps not quite on the level of New York or London, but still in the discussion, a feat Seattle cannot claim on most fronts. Now all this prestige comes with a higher cost, but the edge is still clearly with the city by the Bay. Unless you exclusively prefer your culture at an $8 punk rock show, San Fran is the winner. Diversity is a tricky subject because there's no acknowledged magic balance (would the General Assembly of the United Nations be the ideal community?). Generally, most city dwellers today value diversity as a general value, though this diversity might be not just ethnic, but economic, religious, and cultural. Being exposed to people who come from different backgrounds makes our world a more interesting place. So who has the edge? Not too long ago it would have been no contest, with San Francisco the far more diverse city. Now things are not so clear. San Francisco's African-American population has dwindled to just over 6%, with Seattle's rising to nearly 11%. San Francisco has a much higher Asian population (over 30%) and a marginally higher Hispanic population. The two cities are considered the twin beacons of gay-friendly cities, with 15% of San Francisco and 13% of Seattle residents gay or lesbian. While San Francisco might have a slight edge in ethnic diversity, one area of diversity it is lacking is economic. The median household income in San Francisco is $65,000, far above the median in Seattle ($45,000). In recent years San Francisco has been rapidly losing its middle class to the suburbs as the city polarizes into the affluent and the poor. So ultimately San Francisco offers a bit more but it demands a bit more in return. 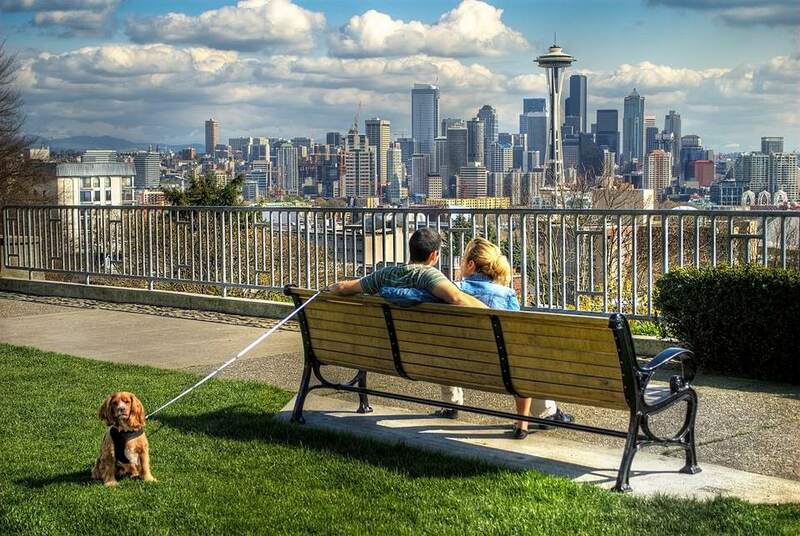 For those with a tighter budget or the desire for a slightly slower pace of living, Seattle is probably more your style. For those who want to feel closer to the center of the universe and don't mind paying for the privilege, the Bay Area may be for you.